There was no Jewish chaplain in the United States military until the Civil War when President Lincoln was made aware of the law which stated chaplains had to be from a Christian religion. The law was changed in time to have a Jewish chaplain in a regiment of the Union Army which participated in the Battle of Gettysburg, Rabbi Ferdinand Leopold Sarner, who had just recently arrived in the U.S. from Germany, was uniquely qualified to serve this regiment, which was composed primary of German-speaking immigrants, many of whom were also Jewish. 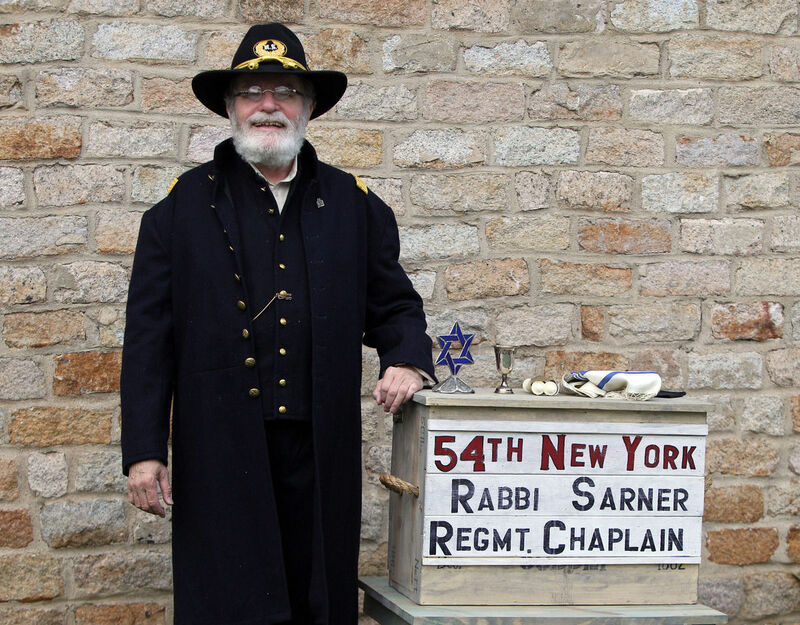 Rabbi David Wucher, an Army Chaplain during the Vietnam war, is a Civil War reenactor and does a first-person interpretation of Rabbie Sarner. Below, is the link to Rabbi Wucher at a joint meeting of the Delaware Historical Society and the Jewish Historical Society of Delaware on 13 November 2014.